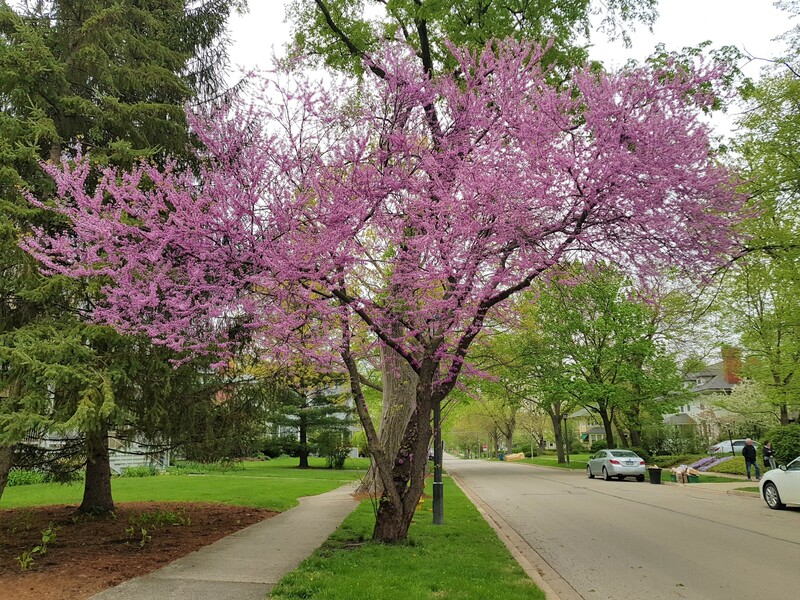 There are beautiful flowering trees this week in Lagrange. They bloom and fade so rapidly that I didn’t get a photo of many of the white pear trees that are widely used in landscaping. I love the pink flowering redbuds. This tree looks like it is dancing in the street.